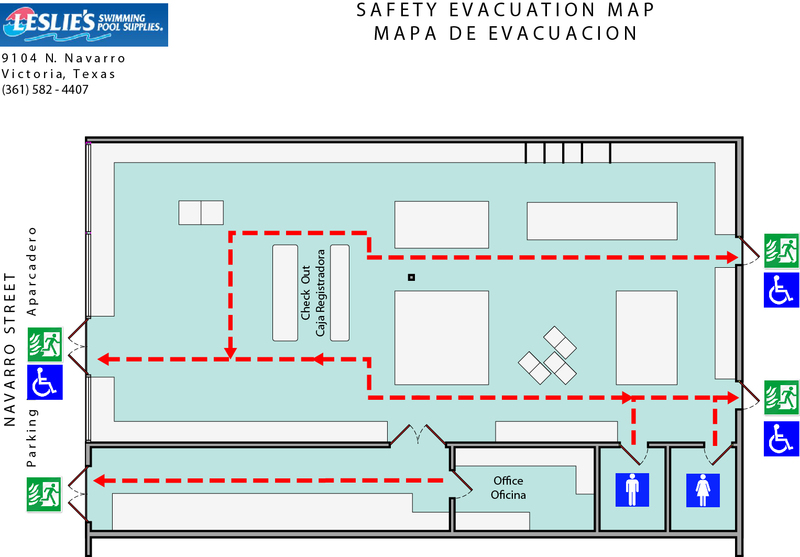 DAL Designs is now proud to offer safety evacuation maps for businesses and public buildings. These maps are required by law in all buildings open to the public, they are so essential to protecting the welfare of your employees, clients, and visitors. All maps meet Federal OSHA requirements for safety evacuation maps and can include other information as desired (for example, the locations of MSDS literature, first aid kits, building plans, or fire extinguishers). We are also currently working on providing high quality, aerial photography-based safety evacuation mapping for the oil and gas industry as well.